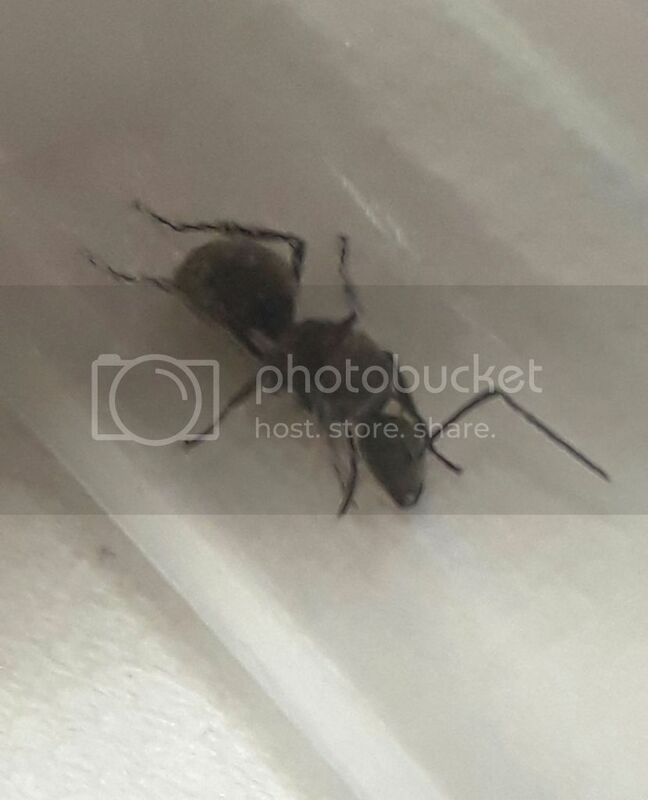 I found this ant in Taoyuan Taiwan on 7/13 around 6pm. It was quickly running along the sidewalk across the street from a park. While catching it, it was really high energy. But, after catching it, it has been very docile in its container and test tube. I actually had a hard time getting it to move into the test tube from the snap cap bottle I used to catch it. It was the second sunny day after a typhoon brought 3 days of scattered rain. The ant is a little over 9mm from the tip of it's head to the tip of it's gaster. It is black that turns incandescent gold when the light hits it right. It appears to be gold all over, but it shows easier on the gaster. It has a satin finish and seems to be covered in small hairs. 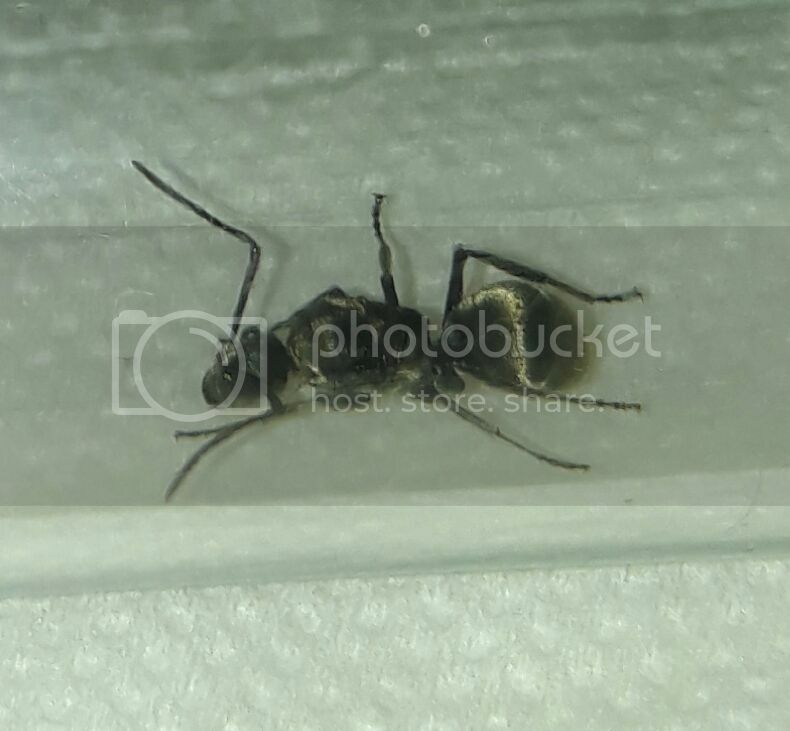 It didn't have wings, but it does seem to have wing scars (I'm a brand new ant keeper, so I've never seen wing scars on others to compare it with). 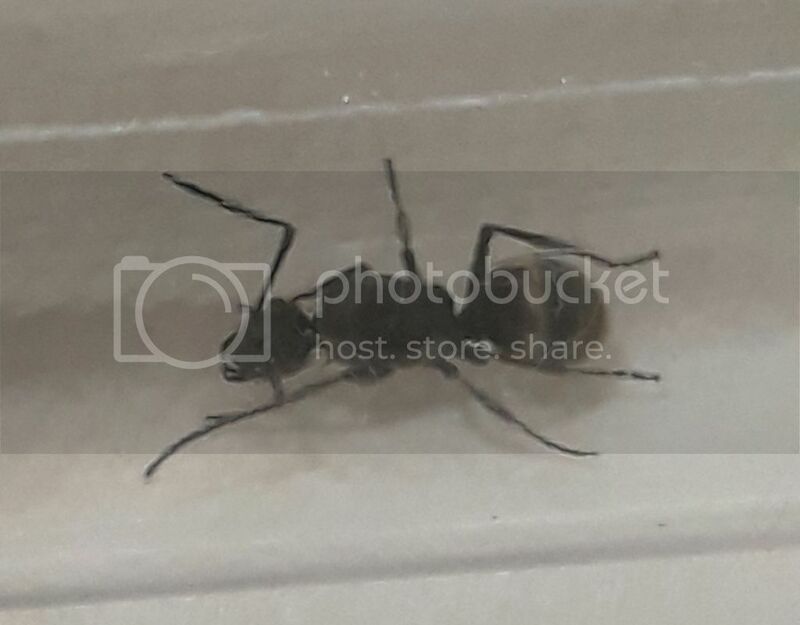 The gold made me think it's a Polyrhachis, but I can't see any spikes on its body. Sorry for the poor pictures. The gold shows much better in person, especially in the sunlight. Any help is extremely appreciated! Thanks! Yes, it looks amazing with the gold color and incandescent satin appearance. Too bad the photos don't show off it's true colors. I realized I was say incandescent instead of iridescent... whoops! I got a large magnifying glass and took an even closer look at her. It turns out that she has all the typical spikes of a Polyrhachis Dives or Polyrhachis Wolfi, After seeing them in person I realized they are actually shown in the first three photos. Though the rear spikes in front of the gaster are hidden in the photos. Both of those species are native to Taiwan, but I am having trouble figuring out which of those two it is. Does anyone know an easy way to differentiate between the two?